There are many benefits for having a Flow Service Plan for your Mass Flow Meters/Controllers. This blog touches on just a few of them. Maintaining calibration on measurement instrumentation is essential to minimizing uncertainties and ensuring accurate readings. Hastings Instruments offers its flow calibra­tion services featuring deeply discounted pricing. The Flow Service Plan allows the user to integrate high-quality calibrations into metrology schedules for Hastings’ 200 Series, 300 Series, and digital 300 series flow meters and controllers. 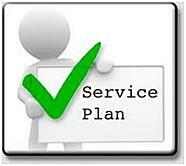 The Flow Service Plan may be purchased for either new or recently reconditioned instruments. Each instrument under the plan is eligible for three calibrations anytime within a 36-month period. Under the discount Flow Service Plan, the user purchases two calibrations and receives a third at no cost. At the time of purchase, the user may specify a calibration interval; Hastings Service will track the unit’s history and provide advance notice (four weeks) of the next scheduled calibration. The calibration and service department will clean, recalibrate, and ship the instrument back to the user within 5 working days or less per instrument. The Flow Service Plan will improve up-time at the user’s facility while ensuring compliance to metrology requirements. All calibration performed at Teledyne Hastings is traceable to the National Institute of Standards and Technology (NIST). In addition to this, calibrations are compliant to ISO 17025 requirements. Hastings offers a complete service department dedicated to recalibration, repair, and service for all of our mass flow and vacuum products.